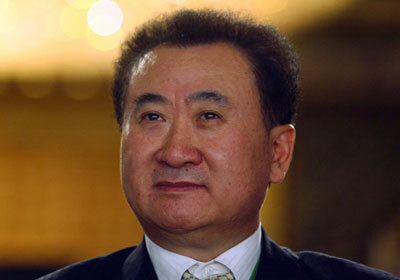 Shanghai, Oct 17 : The 2013 edition of the Forbes China Rich List has identified a record 168 billionaires in the country. According to the list published Wednesday, the number of billionaires in China surpassed the previous high of 113 from last year, and the total fortune of the 400 richest people in the country has topped 3.4746 trillion yuan ($570 billion), a 35 percent increase from last year, Xinhua reported. Over the past decade, China has become home to one of the world's fastest-growing billionaire populations - a status reinforced by this year's Forbes list gains. Wang Jianlin, chairman of Dalian Wanda Group, rose to the top spot with a fortune of 86 billion yuan ($14.1 billion) amid a recovery in China's real estate market and Wang's wish to make a mark in the global entertainment industry. Chinese beverage tycoon Zong Qinghou, the CEO of Wahaha Co., dropped from the top of the list to the number two spot this year with a total fortune of 68.3 billion yuan ($11.1 billion). China has in recent years become home to the world's largest number of mobile phone and internet users, and internet has produced some of the fastest-growing fortunes on the list, including third-ranked Li Yanhong, CEO of Baidu, China's largest search engine, and Ma Huateng, CEO of Tencent, who ranks fifth on the list.